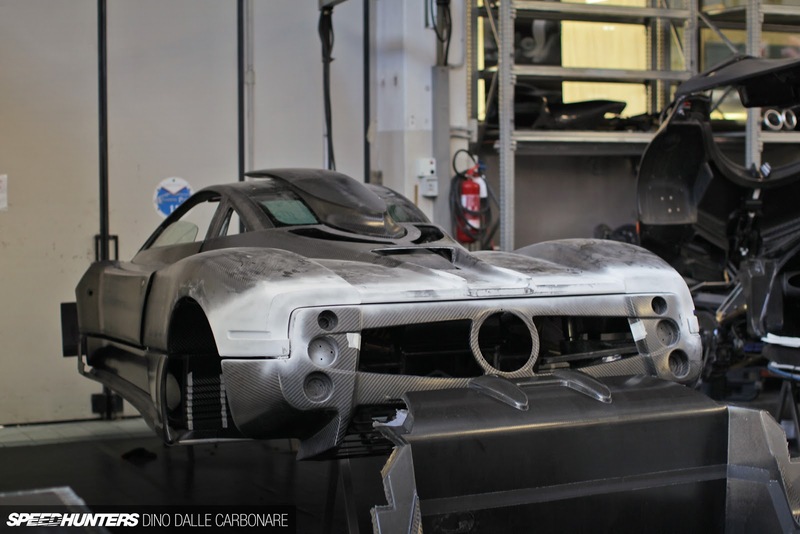 I was struck by the recent visit of the blog Speedhunters inside Pagani that I want share here. 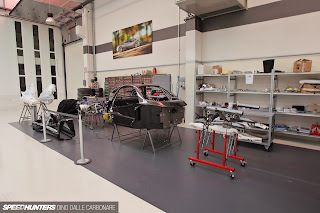 They did a great job following the various stages of construction of the Huayra step by step and they did also a review on the old and the new factories with amazing pictures. Were you sad about the end of the Zonda production? 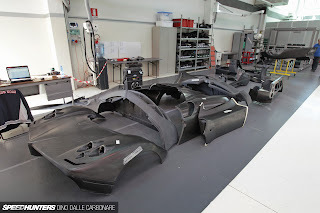 From their visit I noticed something particular, two Zonda chassis being built or upgraded. 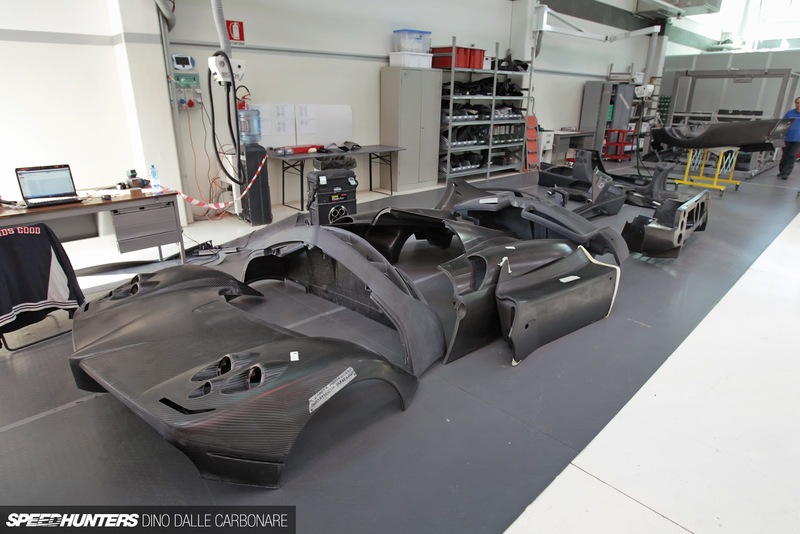 In a little solitary production area of the new factory a Zonda is being built. Can we expect that a new Zonda 760 is coming? Here you can notice the presence of some new parts like a front bonnet with led accomodation, front clam, left door, tail, intake manifold and maybe one sill. The Zonda in production in the old factory has a modified rear end, I'd expect a rear wing with lateral supports as on the Zonda R.
Sources: Pagani Forum & SpeedHunters.